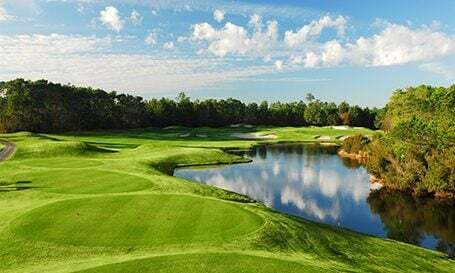 Carved from 800 pristine acres stretching along the Atlantic Intracoastal Waterway, River Oaks provides the ideal experience for golfers of all abilities. The Plantation features 27 exciting holes of golf designed by Gene Hamm and Tom Jackson, as well as a public driving range. Three nines are here to challenge the visiting golfers, each named for animals found in their natural habitats when the course was developed – Fox, Otter and Bear. Take your pick, and you’re sure to enjoy! Painfully slow; 3hr35min front nine; played behind a fivesome; very bumpy outside fairways so go slow in your gas powered (read noisy) golf cart; friendly staff cannot make up for totally average conditions at best and overcrowded course. Rained out. I had to put in a fake score because the data base doesn't understand that rain sometimes prevents people from playing. The grouds crew did an great job cleaning up after hurricane Matthew. There were some trees and limbs down but overall the course was in good shape 5 days after a major storm.